ROBYN'S FETISH CHALLENGE #282 "ORIENTAL STYLE"
ROBYN'S FETISH CHALLENGE # 280 "BACK TO SCHOOL!" Here is a post you don't want to miss. We are revealing Robyn's Fetish New Autumn Digital Stamps that she is adding to her store today. You are going to love these. There are a total of 16 digital images she will be revealing. Our design team used a couple of the images each. So you will be seeing all the new images made in many ways by our design team. I was lucky and received 3 of the new images to work with. The names of these are Boo Too You Too, Little Pumpkin Head, and Happy Scarecrow. 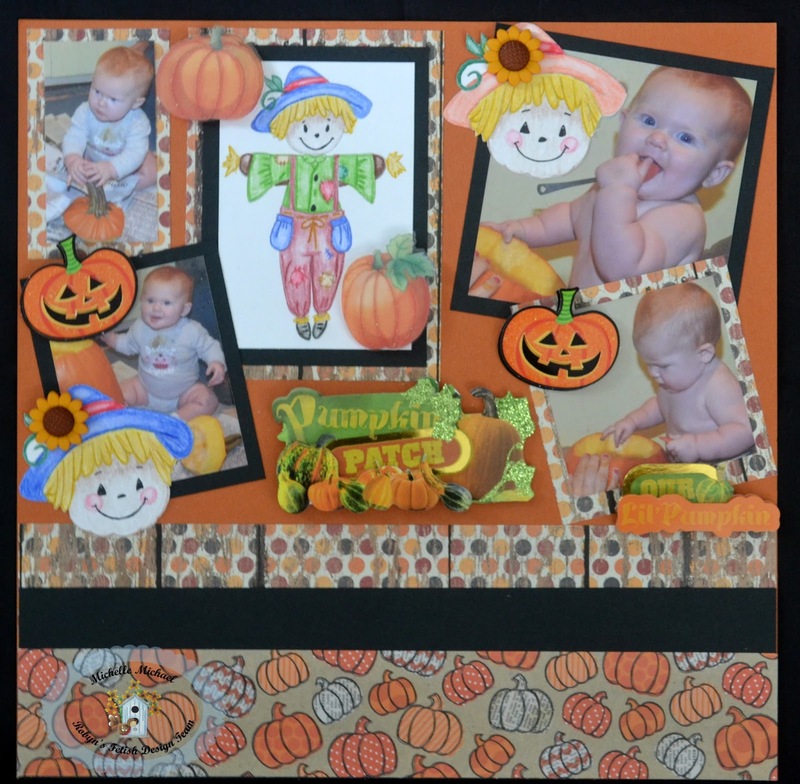 The little pumpkin and scarecrow are used together to make a scrapbook layout. Let me show you the first project I have using "Boo To You Too." As you can see I made ghost ornaments for my string of Halloween Lights.These lights ornaments were easy to make. I have a little more to do to finish the strand of lights. I think they look adorable hanging from my mantel. All that I used to make these was Card Board, Black Marker, Blue Pencil around the edges, and then I laminated them so they wouldn't get destroyed if I used them outside. The second project was a Scrapbook Layout. Now this is where I used the two digital images called "Little Pumpkin Head" and "Happy Scarecrow." I made a little pumpkin patch with the images and my Grand Daughter Remie. This was cute because she has read hair that went perfect with all of the layout. The items that I used was Cardstock, Paper, 3D Pumpkins that was all from The Paper Studio, 3D Sentiments were from Paper House. Besides my Grand Daughter I think I love the way I colored the Scarecrow the best. I just think he turned out adorable. So to see all 16 images just go to Robyn's Fetish Digital Stamps and More Store. Look at all the images and then go to Robyn's Fetish Challenge Blog to see what our design team made with all the images. So go and see some wonderful images that you will definitely want to add to your collection. 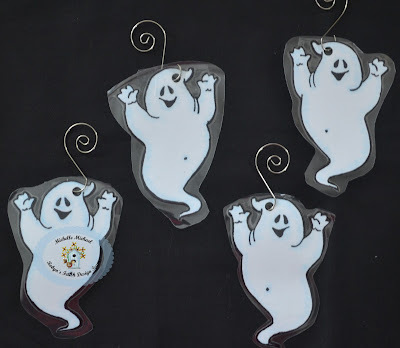 I LOVE that ghost and lights ornament project! 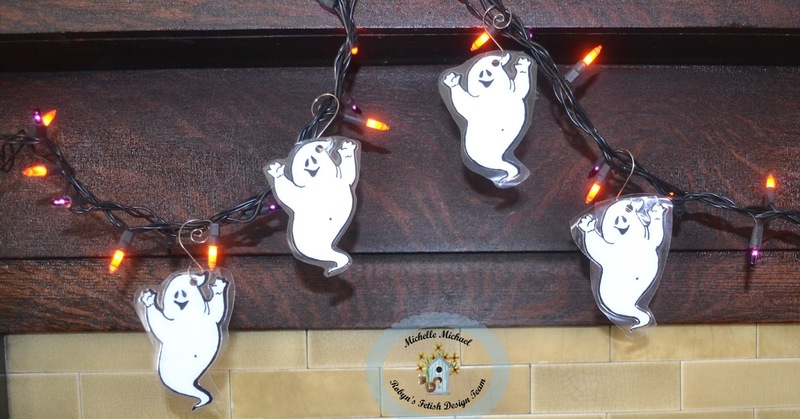 What a terrific idea for those ghosts! Also, laminating them for outside use is great, too. The scarp book LO is wonderful. I love the pictures of your little Grand daughter. The scarecrow is colored so nicely. He looks great stuck in the middle of the LO! Thank you for 2 wonderful projects and very creative ideas!